LLM, Harvard Law School, 1995. Admitted to the New Zealand and Fiji High Courts, 1986. Before joining Munro Leys in 2000, Jon had a long and varied career in Government legal service. He has held office as Fiji’s Permanent (Industrial) Arbitrator and as the Sugar Industry Tribunal. He was one of the two legal counsel to the Fiji Constitution Review Commission chaired by Sir Paul Reeves (1995-1996) and was also the chief electoral officer responsible for the supervision of Fiji’s 1992 and 1994 Parliamentary elections. 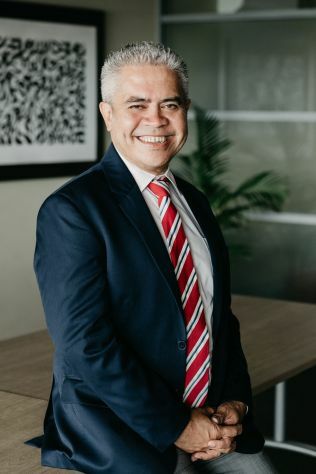 Jon has been a solicitor, litigator and legislative drafter in the Attorney-General’s Chambers and has appeared as an advocate in important constitutional and administrative law cases. He has advised on a number of legislative measures in the commercial, corporate, securities, intellectual property, employment and human rights areas. He was a member of the first board of the Capital Markets Development Authority. At Munro Leys, Jon advises and litigates in the areas of constitutional, employment, administrative, general commercial and intellectual property law. Jon is an occasional presenter and commentator on public law issues in Fiji.